Local lad Paul Zsiga choosing a flag in his county colours at Gort ahead of the All-Ireland hurling final this weekend. Photograph by John Kelly. GAA supporters across South Galway are frantically calling in favours from across the country this week in an effort to get their hands on precious All-Ireland hurling final tickets. There is particular excitement in the Harte household in Gort, as Aidan, who has excelled at midfield and in defence in recent years, is expected to line out in the full-back line for the Tribesmen. His father, Josie, believes Galway’s run in the league and championship, following their reversal at the hands of Wexford earlier in the year, gives the Tribesmen the momentum going into Sunday’s decider. “It was good to beat Tipperary in a tight game in the All-Ireland semi-final, considering Galway hadn’t played in five weeks before this encounter. “You would have to be impressed by Galway’s form to date; they are the National League and Leinster champions. However, Galway will have to improve from their display in the semi-final if they want to win the final. Every game is different and it will all depend on what teams performs on the day,” he said. He acknowledged that Galway are not relying on Joe Canning or one or two forwards for their scores, as all their front six are able to find the target. While he agreed that Galway have notched up some very impressive tallies on route to the final, he stressed the only tally that counts is the one at the final whistle. He expects there will be great celebrations in Gort and South Galway if the scoreboard is favourable. “About half of the Galway senior hurling team are from the South Galway region, from places like Gort, Beagh, Craughwell, Clarinbridge and Kinvara, with a six or seven mile radius. 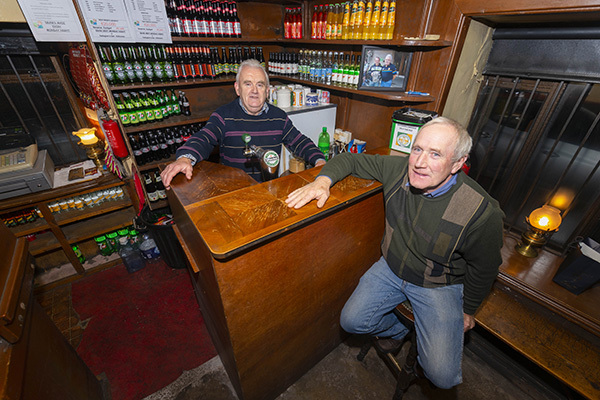 All hurling people in South Galway know each other well,” he noted. Describing corner-forward, Conor Whelan as “a special talent”, he said the Kinvara talisman has used his physical strength and silken skills to notch up some great scores this year and recalled he didn’t hold anything in reserve when Galway lost narrowly to Limerick in the U-21 hurling semi-final. While Galway may be viewed as slight pre-match favourites, Josie believes this will have very little impact on the outcome. 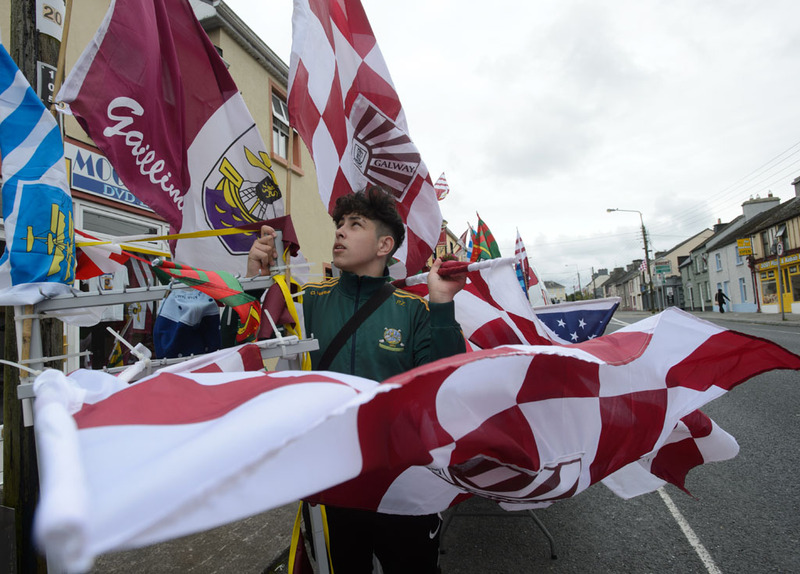 Elsewhere, Gort-based butcher, Gerry O’Donoghue, from Tubber, says the final is generating great banter between supporters from different counties who are living in the South Galway area. He said the excitement is really building, with businesses and residents putting up flags and bunting in the town. Meanwhile, with Galway and Waterford aiming to bridge a 29-year and 58-year gap respectively, the demand for tickets has been huge in both counties. Gort GAA Club chairman, Gerry Sheehan, estimates the ratio of supporters looking for tickets is at least three to one, which he attributes to the long wait for the Liam MacCarthy Cup in both counties. Regardless of who wins, however, he believes the vanquished will not begrudge the successors. Noting that Waterford have the ability to score goals, he said Galway have shown great ability to score from all angles and win games without the need to raise green flags. He believes their vast experience of playing in numerous All-Ireland finals at minor and U-21 levels will be an advantage for the senior decider. There are other cross-border connections for the likes of Adrian Tuohy from Beagh. His grandfather, Pakie Wall, from Kilmihil, as the oldest Patrick in Clare, was grandmaster of the 2016 St Patrick’s Day parade in Ennis. There is a huge demand for tickets ahead of the Galway v Waterford All-Ireland final.